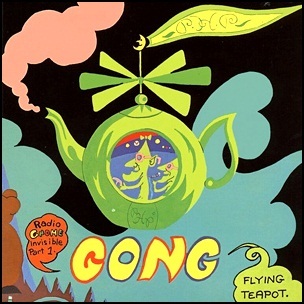 On May 25, 1973, “Virgin” label released “Flying Teapot”, the fourth Gong album. It was recorded in January 1973, at “The Manor Studios” in Oxford, and was produced by Giorgio Gomelsky. In the “Q” & “Mojo” magazines “Classic Special Edition Pink Floyd & The Story of Prog Rock”, “Flying Teapot” was ranked at number 35 on the list of the “40 Cosmic Rock Albums”. 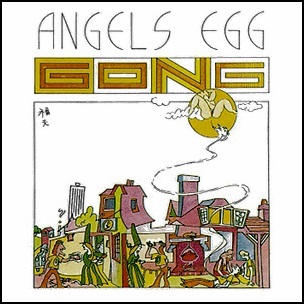 On December 7, 1973, “Virgin” label released “Angels Egg”, the fifth Gong album. It was recorded August 1973, at the “Manor Mobile” in France, and was produced by Gong. ”Angels Egg” is the second of the Gong’s “Radio Gnome” trilogy of albums, following “Flying Teapot” and preceding “You”.